Looking for a upgraded magazine, or even an expansion chamber to improve your X7's performance when using with Co2. Then you have come to the right place. 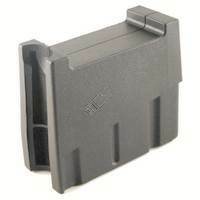 We have a good selection of magazines to replace your stock magazine and make your X7 look more realistic. Any player who uses a Co2 tank on their Tippmann X7 should really consider getting an expansion chamber for their marker. Expansion chambers will improve you accuracy and air efficiency, as well as preventing your marker from turning into a snowflake machine. If you have lost your magazine, or are just looking to get a new look from your X7, then a magazine might be the upgrade you are looking for. These magazines are typically designed to look like an actual firearm's magazines, giving you a more realistic look. Most of these magazines are made of a durable and lightweight composite material. As previously stated, the expansion chambers are a must for anyone wanting to use a Co2 tank on their X7. Your paintball marker runs off of Co2 gas, however when your tanks are filled they are filled with liquid Co2. Expansion chambers allow more time (within the chambers) for the Co2 to change from its liquid state. to its gas form. If you have ever shot your marker and noticed that excess Co2 is shooting out of the barrel, it kind of looks like snow, that is liquid Co2 being shot out. When your marker is shooting liquid Co2 your air efficiency and accuracy will be suffering. Expansion chambers reduce the amount of liquid Co2 that enters the marker.